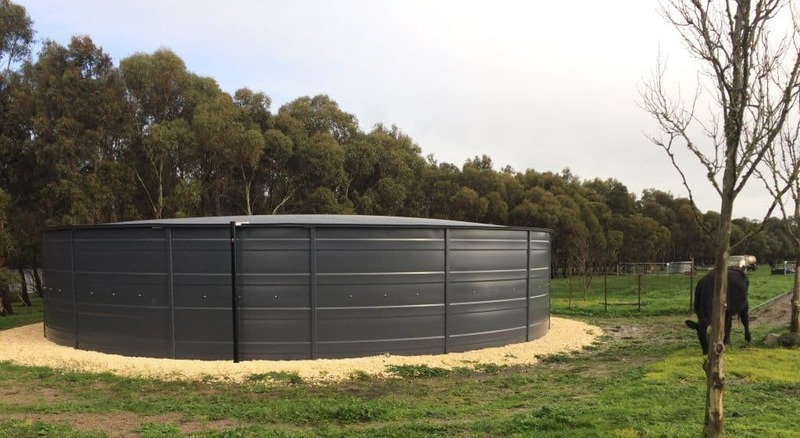 Looking for a rural water tank for domestic or agricultural purpose? Heritage Water Tanks can help. 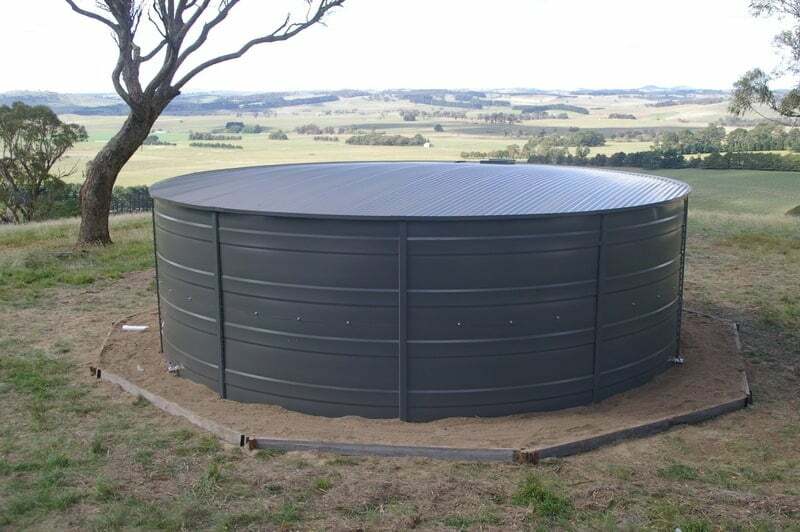 We are an Australian-owned company which specialises in premium quality steel water tanks for any application. Get a free quote today, just fill out the form below. Many rural properties around Australia do not have access to mains water supply and instead rely on private sources of water. These other options include rainwater, carted water, ground water and surface water. Of these, the most expensive is carted water, which can be inconvenient, costly and ultimately inefficient. Groundwater and surface water sources can have issues with water quality, licensing and availability and can be suitable only for stock or irrigation use in some instances. Rainwater is the best option for domestic household use, particularly if you have a large catchment area with good guttering on the roof of your house and any adjacent sheds. Plastic tanks can be prone to heating up the water in your tank, which can encourage the growth of bacteria and algae. Below-ground concrete tanks are at risk from contamination from sources such as sewage from septic tanks, industrial and agricultural runoff, seepage from rubbish, polluted stormwater or groundwater and chemical spills. With this in mind, steel, above-ground tanks manufactured by Heritage Water Tanks are the healthiest option. In terms of durability, steel tanks are much stronger than Poly tanks. They are longer lasting and tougher and have a 20-year Pro-Rata Warranty when some Poly tanks only provide a Warranty of up to 10 years. Independent testing identified our ARMA Liner as the best in relation to Shear Strength, Tear Strength and Density, compared to the Aqualiner and Infinity liners of our competitors at that time. The Heritage Water Tank Arma liner is made from six layers fused to a reinforcing layer. During manufacture, the liner is heated and spread evenly and compressed even further as it cools. The end result is a product that is denser and weighs more than some of our closest competitors’ liners but has the same thickness. Our liner is recognised as an industrial quality liner because it weighs 700grams per square meter, which is an industry standard for many commercial projects. Heritage Water Tanks Innovative water collecting Gutter System collects additional water from the roof of your rainwater tank. Collecting rainfall from roof run-off is a tried and tested, sustainable method of sourcing water. Good quality freshwater in Australia is a limited and valuable resource. With its hot and dry climate and less reliable rainfall, water restrictions have become more widespread since 2003 in Australia. The State of South Australia is the driest in Australia and has the highest number of water storage tanks. Water conservation is also a wise precaution to take and households connected to mains water can collect rainwater to complement their existing supply. Think ahead to ensure that your future includes a plan for water security for your home or business. Other reasons that it is wise to have an additional supply of stored water is to ensure you have an adequate water to manage a bushfire and also to ensure that you have a water supply if your power supply is disrupted for any reason. 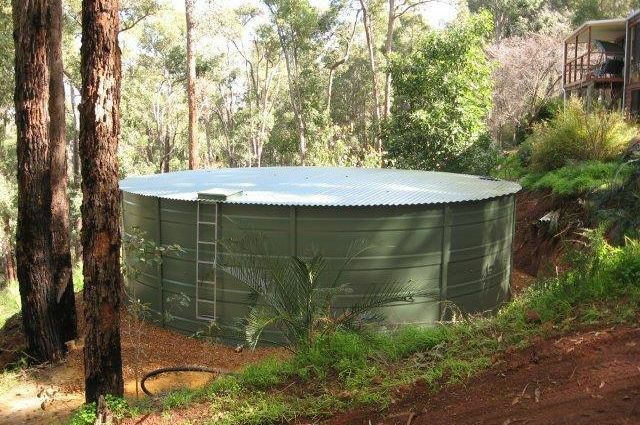 Heritage Water Tanks has a range of sizes to suit different needs of up to 375,000 Litres. The larger tanks are suitable for rural properties with greater capacity requirements. Our ARMA water tank liner is 100% BPA free. With no chemical contaminants and are certified to Australian Drinking Water Guidelines and Standards.